Rep. Dana Rohrabacher (R-CA) wants to chair the House Science Committee. Rohrabacher is also a climate change denier and a big supporter of offshore oil drilling. The congressman is hoping to chairs the House Science, Space and Technology Committee if Republicans are able to keep control of Congress after November. Rep. Lamar Smith (R-TX) will be retiring after the mid-term elections and both Rohrabacher and Rep. Randy Weber (R-TX) hope to help run the committee. If Rohrabacher is accepted to the position it could be devastating for the scientific community. He has claimed that scientists around the world have engaged in an “onslaught of nonsense being foisted upon humankind in the name of man-made global warming.” The lawmaker even attempted to claim that “dinosaur flatulence” may have caused global temperatures to rise, according to National Memo. 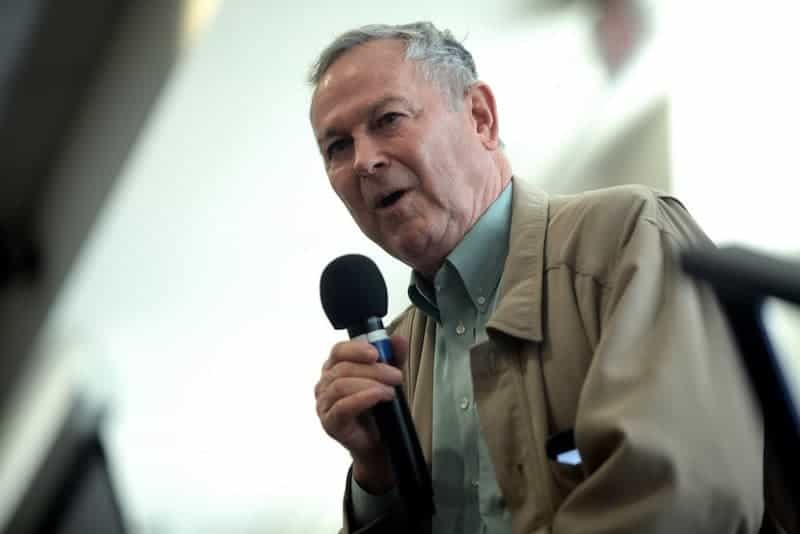 Rohrabacher has also fought for offshore oil drilling, claiming that “environmental radicals” were preventing the practice from gaining mass appeal. Skeptical Science lists many of the outright lies Rohrabacher has made against climate change. Among his claims is that “Co2 is not a pollutant,” “the polar bears are not becoming extinct,” “the earth quit warming and now may be in a cooling cycle,” and many more. An anti-science, anti-environmentalist would fit perfectly within the Trump administration. It’s also an unlikely nomination if Democrats manage to accomplish a blue wave in November 2016 and take Congress from the Republican party.